How to Create a Church Website with WordPress? How to Create a Church Website using WordPress? A church always stands tall. Christianity is the most popular religion in the contemporary and modern world. In this digital era, when every business is spreading digitally, then why not the churches. The church is responsible to conduct many social activities that benefit all type of human beings that need help either on economic front or on the spiritual front. When we talk about building a website, there are no circumstances where we can leave the possibility of using WordPress. WordPress development Companies can really come in handy when you’re building a Church Website. 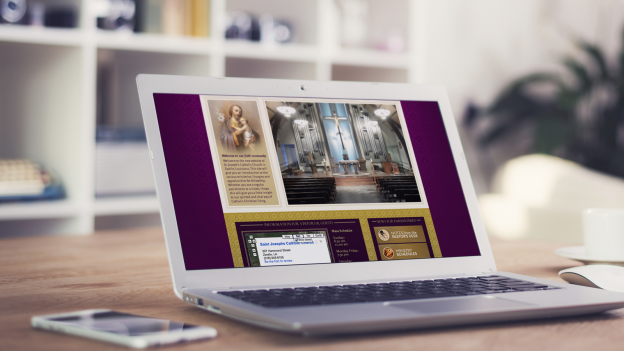 A church website seems a bit parish but it is also one of the chief requirement when you need to spread the news and events that happen in the world by the church. In this post, I will not give you that technical geek type tutorial where you will create a church website. In spite of that, I will provide you the list of specific features without which a church website is incomplete. So, hold tight and be ready for a tour of the striking features of the Church Website. Well, the answer is quite obvious. The WordPress CMS is easy to use and quite feature full as well. There are no other reasons that can be so intimidating. It is highly customizable and one of the best parts is that you can make changes in the content whenever you want. Churches have many events that go on a daily basis. WordPress is an ideal platform to build a website and then constantly update the content as per the requirement. Looking for custom WordPress services for your WordPress church website? Click Here! The most basic information (church name, location, Sunday service times) must be easy to find on the homepage, and all other information on the website must be easy to locate, as well. Your visitors must be able to see what’s available on your site from any page — and be able to go there with just one click. Because millions of sites on the web are well-designed, web users have little patience for sites that are not. That might sound a bit different but it is a fact. The starting paragraph in this post already said that the churches are growing. So, your church needs to stand out. In order to do that, you need to communicate clearly. Just as there is no one else in the world exactly like you, there is no other spiritual community exactly like yours — and that is your church’s point of power in the world. “What is the unique promise that your church offers people? If you answer these questions clearly, then people will generate a liking for your church for sure. So, as it is clearly visible that you must go for social media platforms no matter what happens. Well, this is a requirement for being a Church. Podcasts are very popular among the church followers. Many kinds of research have shown that the church visitors listen to the podcast quite often. 25 people in every 100 people listen to podcasts weekly and 4 out of 10 church visitors listens to podcasts on monthly basis. Sounds like a must for a church website holder. That is the most basic requirement for a website. Do you want traffic from everywhere? Then make your website mobile friendly and responsive and then see the effects. WordPress is also preferable because it is already mobile friendly. Allow me to introduce the important elements without which everything for a Church WordPress website is in vain. You need to have a calendar for your WordPress website that shows all the upcoming events and services times of the church. All the church activities must be enlisted in the calendar that you are using. In WordPress, you can use calendar plugins such as All-in-One Event Calendar from Timely. 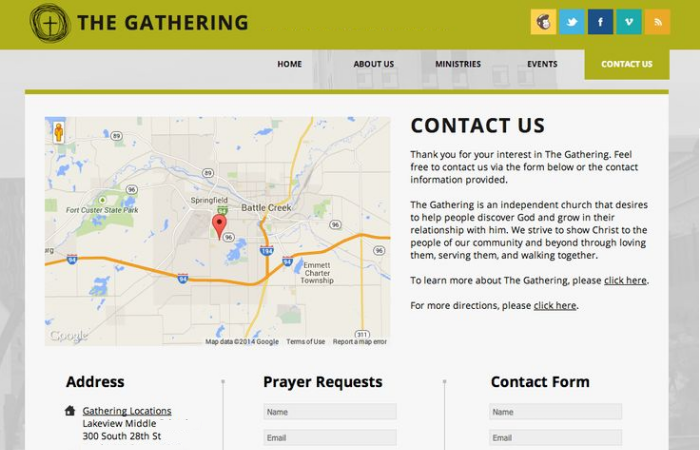 Looking for suggestions or want to develop a church website? Contact us Today! Here I recommend you to give the name of the staff members as well as the office hours. Also, you can add a contact form if you want to stay connected with your visitors. You can use WordPress plugin “Gravity Form” for that purpose. Use the page attributes of the WordPress and create a page as “About Us”. Tell your story to everyone. You can also include your parish mission statement and the entire history if you want. For a Church, Donation is very paramount. 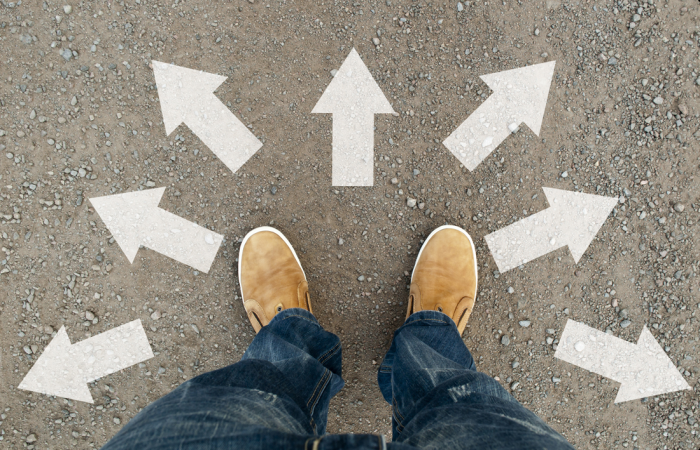 Give that option on your website and make easy for the donors to donate to your organization. There are ample of donation plugins that you can use such as Give – Donation Plugin and Fundraising Platform. Always keep the archives of Sermons in your church WordPress website. You can make use of page attributes for this task. This is an important segment where you can glorify your church by letting your followers know about the news incident in which your church was mentioned. Also, it is the ideal place to disclose your community works. Here as well, make use of page attributes. Church websites can be a multifunctional website with the help of WordPress. All you need to do is allow yourself to think creatively. If you have any sort of technical difficulty, then as a responsible WordPress Development Company, we can help you in all the ways you want. Contact us via chat and let’s discuss the initials.